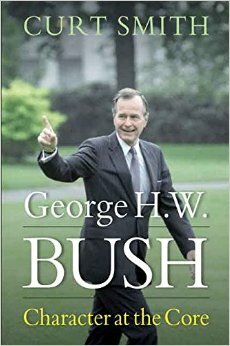 Curt Smith, author of George H. W. Bush: Character to the Core, will be speaker at the event. Mr. Smith worked with President Bush for more than 20 years and wrote more presidential speeches than anyone else. His book includes in-depth narratives about events that occurred during the Bush Administration and chronicles the contrasting presidential elections of 1988 and 1992, examining the successes and failures of each. Mr. Smith’s book also profiles many of the key people in Bush’s life and career, including his wife Barbara, his mentor Ronald Reagan, his political ally Margaret Thatcher, and many more. Mr. Smith is a senior lecturer at the University of Rochester, a GateHouse Media columnist and the author of 16 books. He has written for Newsweek, The New York Times and The Washington Post, and has been named to the prestigious Judson Welliver Society of former presidential speechwriters.